The US internet company Google has launched a new service, Google Goggles, which will allow users to look up information on the basis of photographs. Goggles is intended for smartphones equipped with cameras. The user opens a software program, takes a photograph and Google looks up the corresponding information. So far, the service is only available for phones using the Android operating system. And not all photographs can be processed. 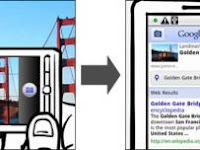 Google Goggles will work well with photographs of books, tourist attractions and products including logos or bar codes. Cars, food and animals will not be recognised. For privacy reasons, users are barred from looking up information on the basis of photographs including people. Thanks for share such an impressive article.